It’s been over a month since our magical holiday to the island of Mauritius, and judging by my Instagram feed, you can tell I’m still not over this paradise island. 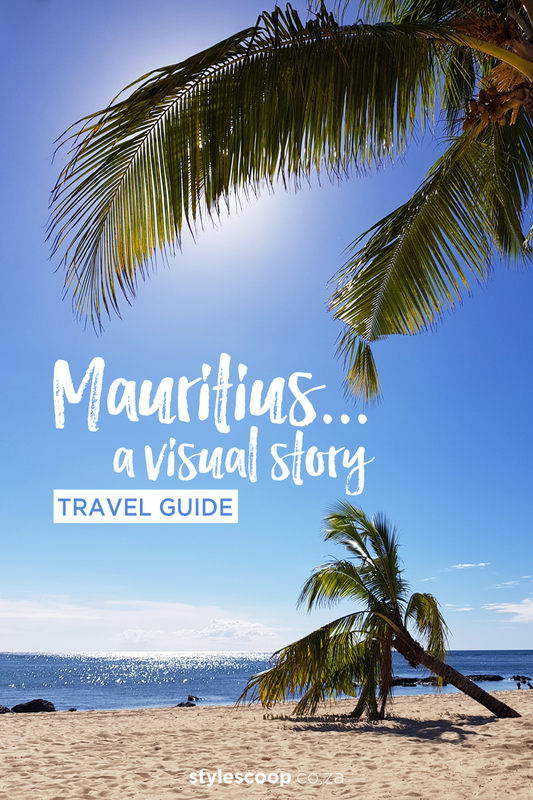 We had such an incredible stay and today, I wanted to share some of my Mauritius Travel tips and a visual story that may help you if you’re planning a visit to this East African gem. Mauritius truly is a slice of paradise! From the beautiful beaches to the crystal clear waters with incredible sea life. Then there’s the five-star service (throughout the island), the flowing cocktails and of course, the fantastic weather. 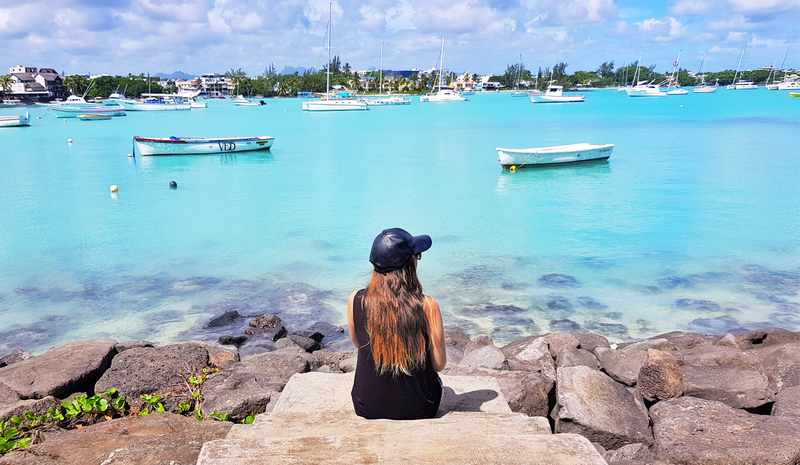 But the one true thing that makes Mauritius so incredibly special, is it’s warm and friendly people who welcome you into their little corner of paradise – if only for a few days! In March this year, for our 10 year wedding anniversary the hubby spoilt me rotten! 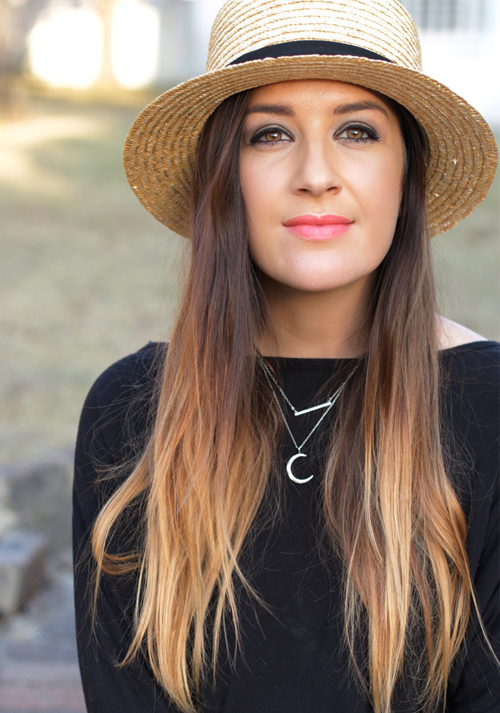 Firstly with an incredible designer piece that I’ve lusted after for ages, but if that wasn’t enough, he also spoilt me with an 8-day surprise trip to Mauritius. Coco Mamzelle on the Beach. Check out the Recipe at the end of this post! We had the best time and since I’ve been twice (and counting), I wanted to share some travel tips, focusing today, on when to go, where to stay and some of the fun water activities you can do. 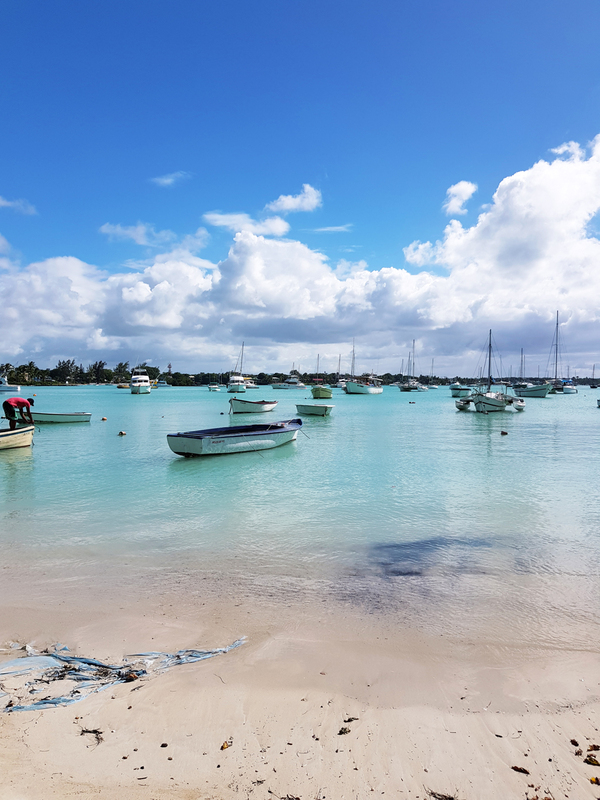 Contrary to what you may think, Mauritius does actually have a winter. Granted, it’s nothing like winter in South Africa, and Europeans will probably scoff at the version of “Mauritian Winter”, but that doesn’t mean it’s summer all year round. 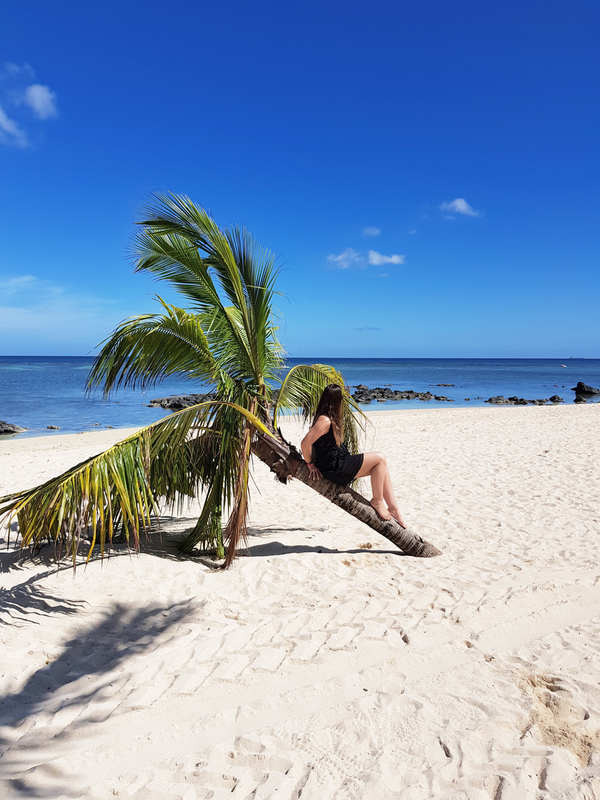 The best time to visit Mauritius is in the summer, between October and April. We’ve been both times at the end of summer, and it was beautiful! Hot and a little humid, but still bearable. The only concern with Summer is that you are taking a chance with Cyclone season. Which means, you may get fabulous weather, and you may not! Technically, March still falls into the Cyclone season, however both times when we visited (this time at the end of March, last time was early April) we were blessed with glorious weather. I think we only had one day that was not “beach worthy” during our stay this year. Still, it was a good day, with a bit of rain, which was actually perfect for our excursion touring the Wild South (more on that in an upcoming post). Mauritius is also a popular destination for people all over the world and, especially for South Africans. It’s close by, and only a short 6 hour flight away. Which, when you think about it, is the same travel time as a road trip to Durban. 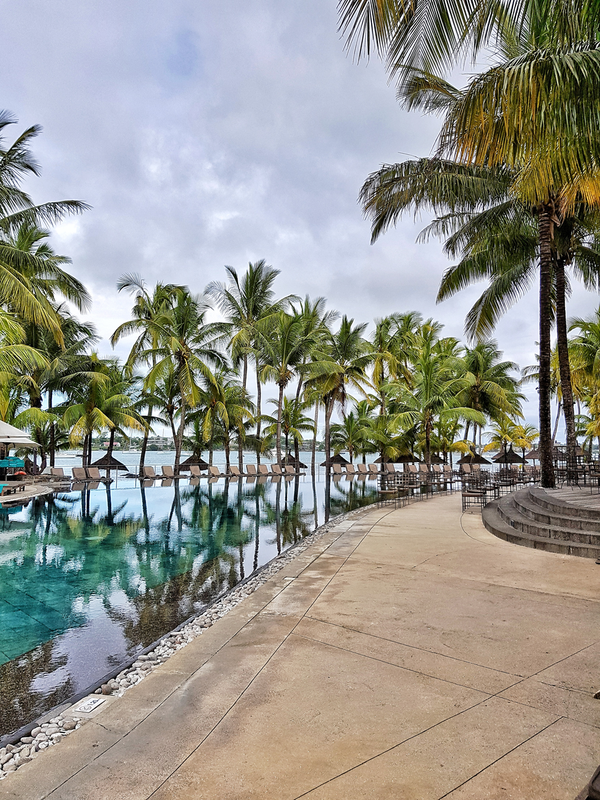 For the best Mauritius holiday experience, I’d highly recommend staying at any of the Beachcomber Hotels. They have a large number of hotels around the island and they really are fantastic! One of the incredible infinity pools at Le Mauricia… The stairs on the right lead to the Bay Watch Bar and there’s even a spot where you can sit with your drink right on the edge of the pool, toes in water if you please! 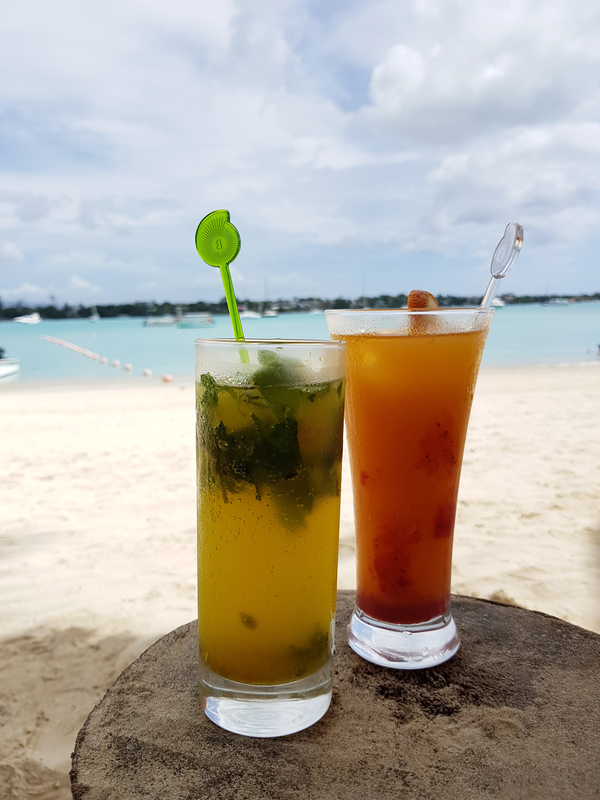 On both our trips to Mauritius – first the Honeymoon in ’08 and then our 10 year Wedding Anniversary – we stayed at the beautiful Le Mauricia Hotel and ya know what, I’d absolutely stay there again the next time. 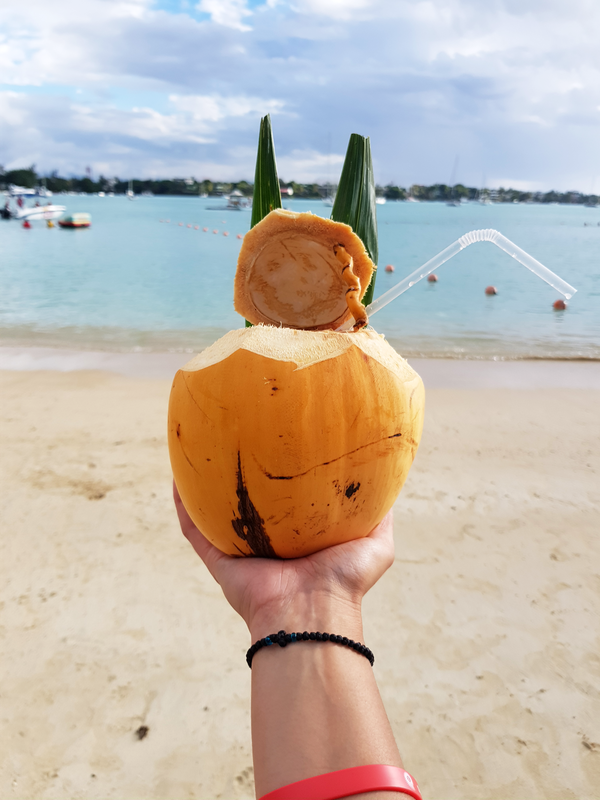 It’s just so beautiful; relaxing, chilled and it’s right in the heart of Grand-Baie, which means you only need to walk (along the the strip of beach) a short distance and you’re right in the heartbeat of a true Mauritian village – buzzing with shops, restaurants, and bars at every turn. It’s actually rather nice to be able to walk out of your hotel room, down the stairs onto the beach, then hit a left and within 5 minutes you can go anywhere and do anything you want. We were on the all-inclusive package (which I’d highly recommend when staying at a Beachcomber hotel) so we had most of our meals at the hotel. However, we walked to Grand-Baie almost daily and explored. It also gave us a chance to work off those all inclusive pancakes, cocktails and baguettes! Another thing to bear in mind, if you stay at a Beachcomber Hotel, you are often given the opportunity to go between a selection of their other hotels. So let’s say you book an all inclusive at Mauricia Hotel; while you still sleep at Mauricia, you can have breakfast, lunch, dinner and enjoy all the all-inclusives of Victoria and Canonnier as well as Mauricia. Although you do need to take a taxi to go between the hotels, it’s a nice way to see more of the island without spending more of your moolah! In 2008, we spent a day at Canonnier and this time around, we headed out to explore Le Victoria. I must say, while Victoria is beautiful, I still, personally prefer Mauricia. This pool at Le Victoria Hotel in Mauritius though! Here’s the thing! Each Beachcomber resort has it’s own appeal. For me, I love the overall look of Mauricia. I find it less commercial and it feels more like an island paradise. I also love that Mauricia is close to the town – whereas, with Victoria you have to get a taxi to go anywhere – even to the Supermarket! The pool at Victoria though is glorious (I mean LOOK AT IT), but has very little shade. While Mauricia’s pool – you could spend all day just chilling in the water, surrounded by palm trees and be more comfortable. The thing I’d say Victoria has over Mauricia is that it’s on an actual beach. The stretch is absolutely beautiful. See the pic of me and my palm tree at the top of this post? That’s just a small piece of Victoria’s paradise. So if you’re after long stretches of beach – Le Victoria is a good one. Le Mauricia on the other hand, is in the bay, so you feel like you’re chilling in a lake rather than at the beach sometimes – but I still prefer it! Especially since you can take a drive to Victoria and enjoy their beach, but come back to the chilled vibes at Mauricia. The sunsets at Mauricia are pretty amazing! Sitting looking over these rocks in they bay, watching the sun set with cocktail in hand is a perfect way to end a day. 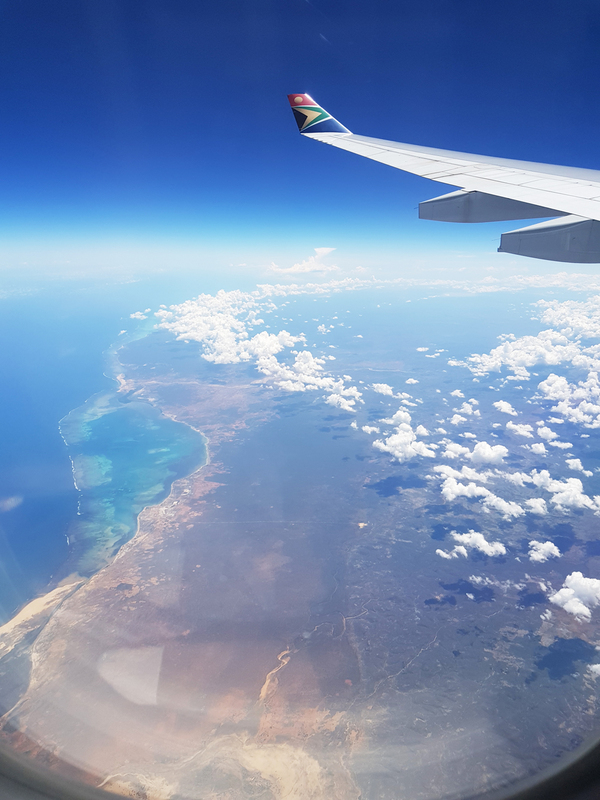 Another thing I noticed is that Victoria seems to be a popular destination especially for South Africans. I mean, I heard a LOT of Afrikaans and a lot of S-effrican accents all around me. I often forgot I was in another country. Mauricia on the other hand, seems to be a popular spot for French tourists and we also met a few from Reunion Island. To me, hearing the French and Creole accents, made me feel like I was far, far, away from home in some island paradise – which I was, but I felt like I was! 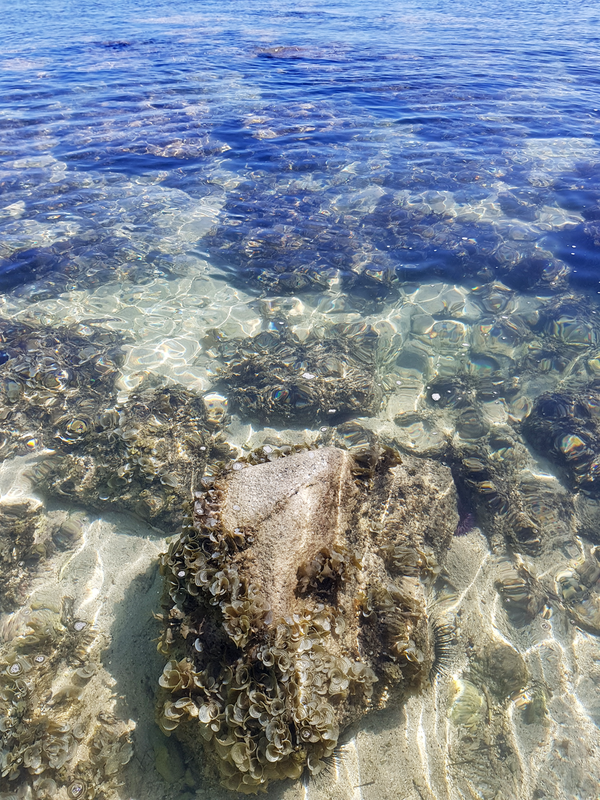 Okay, so Mauritius has a lot to see beyond “the water”, but it is of course an island, known for it’s incredible coral reef and the amazing wild life that lives, inside the reef. So although my “things to experience” in this post revolve around the water (surprise, surprise), I have another post planned where I’ll show you the things we experienced inland – which were also fantastic. So please don’t think that the only thing to experience in Mauritius is sailing, boating and diving etc. Although, if you have planned a trip to Mauritius, you HAVE to see what’s under the sea! And my favourite way to do it… Snorkeling! I’m not going to lie, I used to hate snorkeling! I had tried a few times on our last trip as well as when we were in Crete, but man, I hated it! Kind of strange for a Pisces! I know. Well on this trip, everything changed and I’m happy to say that this Pisces is now very happy swimming with the fishies! We decided to go out on the glass bottom boat one morning and I only went with the intention to see the fishes from the boat. I had my snorkeling gear, but had no intention to snorkel again. Anyway, the boat made me feel queasy just rocking about, so I got into the water with my gear, and gave this thing another try. Every-time I had snorkeled before, the mouth piece would make me feel claustrophobic and to boot, I’d freak about about drowning. I can actually swim – not too bad if I do say so myself, but the last time I got caught in a suction that pulled me down and I flipped out! Without my flippers on, I might add. So this time around, I decided to be the woes with the lifejacket, and I’m pretty sure THIS was whole reason my snorkelling experience was so much better. While floating about in the water (and not being sucked under), I was able to finally figure out how to use the snorkel without choking myself. Once that stress was gone, I was able to just enjoy the experience. And I couldn’t get enough of it! Even if you can swim, try snorkelling with a life jacket and see how awesome it is! You literally hover on top the water and can just relax and see what beauty lies beneath you. If you go on the all-inclusive package with Beachcomber, most water activities at the hotel are included as part of your package. You can try your hand at Water Skiing, Sailing, Windsurfing, Snorkelling, Paddling, Kayaking and Peddling all part of your package. 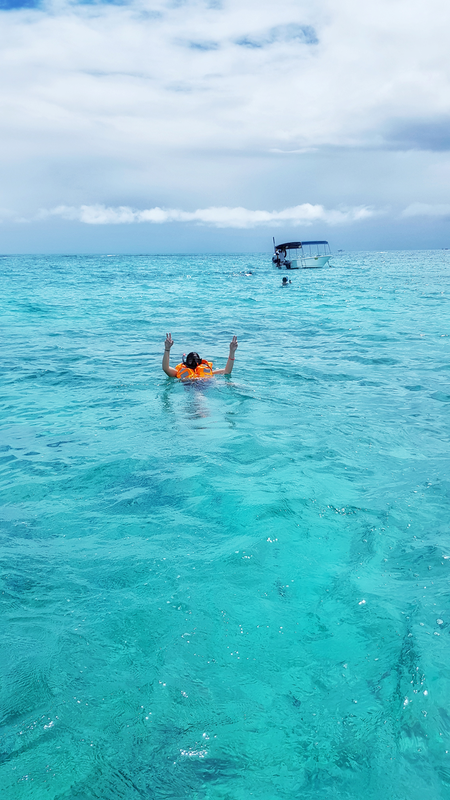 Now if you’re a water junkie you can try out some of the extra water excursions like scuba, swimming with the dolphins, and even the Underwater Sea Walk, where they basically put a tank over your head and you walk amongst the fishes with a guide. That looked like so much fun! Another really fun thing to do would be to go on a Helicopter flip and see the island from a whole new perspective and I’d definitely recommend a day trip on a Catamaran. 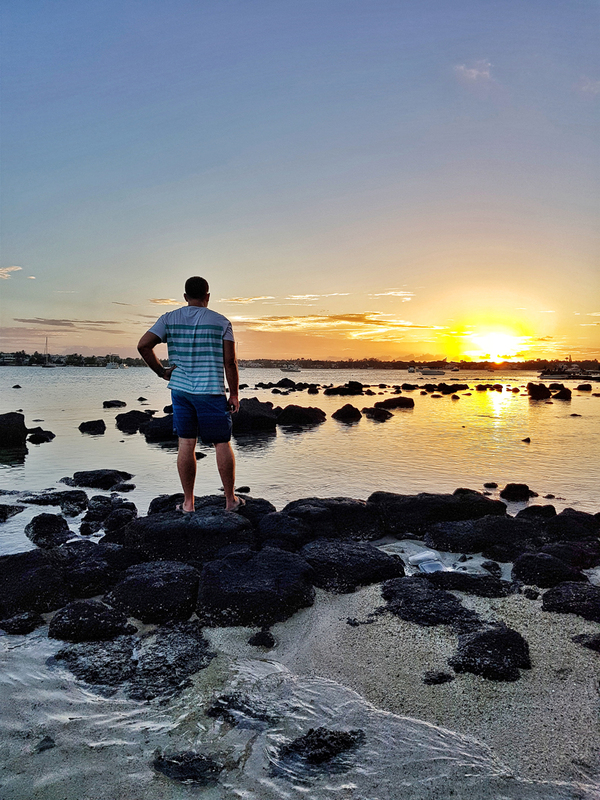 We did the Catamaran thing last time, so instead of doing it again, we decided to go on an a tour of the Wild South instead so that we can see more of inland Mauritius. One thing about tours and excursions though… Bearing in mind that Mauritius’ number one source of revenue is Tourism, you will see a lot of activities being advertised everywhere. If you stay at a hotel, they will always recommend you go with their tour company of choice because they can give you more peace of mind with travel insurance. However, if you travel with international travel insurance, I really don’t think it’s a major concern if you go with the tour company you like. This year we booked a tour through the hotel’s travel agency which was great. When we were there in 2008, we picked our Catamaran after seeing it go past and we liked the look of that one. It was the Maeva Catamaran, not affiliated with the hotel and it was great too! So don’t let the resort sell you on their tour if you’ve seen something better. Cocktail hour all day, every day! 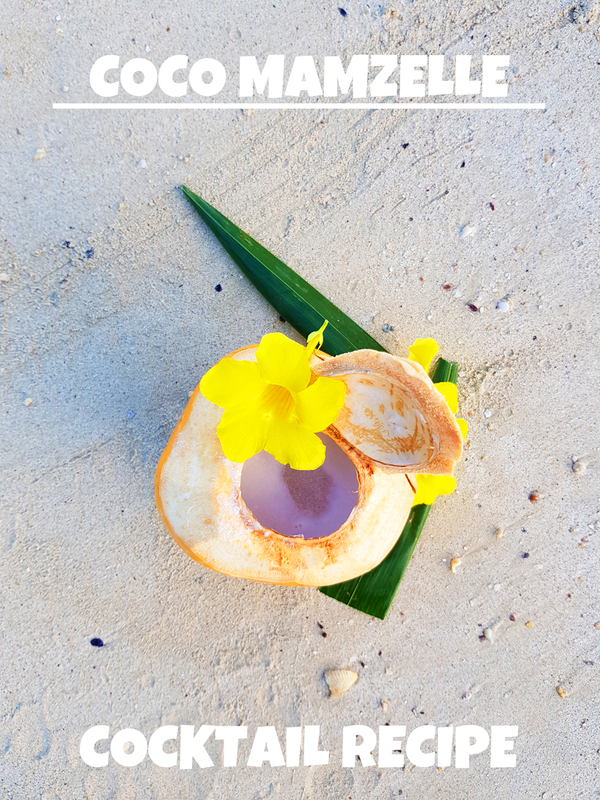 I hope you guys enjoyed my photo diary and my little nuggets of Mauritius and hopefully you’ve found it beneficial if you’re travelling to Mauritius or thinking about going! JUST DO IT! I’ll be back a little later with my Tour of the Wild South and I’m also working on a travel guide to Mauritius, so if you have any questions, hit me up in the comments and hopefully I can answer your questions. My hubby actually made this drink for me at the Bay Watch Bar at Mauricia while I was out snorkelling. Granted he had lots of help from the excellent bar staff at the hotel, and yes they gave him the coconut all ready for the drink, but still he made it and it was good!